Margaret Garvie, 77, of Brookshire, Texas passed away on Thursday, March 22, 2018. She was born on January 30, 1941, to the late Johnny and Margaret Garvie, in Brookshire, Texas. 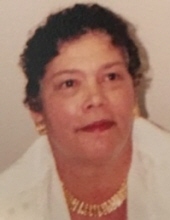 She was well known to her family and to the community as Big Honey. She was one of eight children born into this union. She received her early education at Ralph J. Bunche. Honey worked for Katy ISD and retired after over 25 years of service. She also worked at the First United Methodist Church of Brookshire for over 30 years. Honey was a lifetime member of the St. Paul Missionary Baptist Church and faithfully served in many ministries. She was a member of the Senior Usher Board, a member of the Mission Society, and she served as the Superintendent of the Sunday School Department. She was a member of the Priscilla C. Branch Educational Foundation that sponsors academic scholarships to deserving youth. She served as a supportive member of the pastoral care committee and supported all the church programs and events. She was also recognized as one of the senior Mothers of the Church. Honey loved her Pastor and her church family. Honey was a fun, loving, and caring person. She started her day off by watching her favorite TV preachers and reading her Bible and daily devotions. She enjoyed her word search puzzles, her judge TV shows, and calling to check in on her family and friends. She was our family historian and could retell funny stories about the past that had everyone laughing. Honey is preceded in death by her parents, four brothers, Lee Andrew, Johnnie, Larry and Roosevelt, two sisters, Christine and Gladys; and her godson, Charles Branch, Sr.
She is survived by her two daughters, Noelle Turner and Christina Garvie; three sons, Reginald Garvie (Mary), Maury Garvie (Leslie), and Clarence Turner; a sister, Evelyn Branch; a brother, James Garvey; two godchildren, Maurice Gindratt, II and Cedric Keyes; 16 grandchildren; 25 great grandchildren; and a host of nieces, nephews, family, and friends. To send flowers or a remembrance gift to the family of Margaret Garvie, please visit our Tribute Store. "Email Address" would like to share the life celebration of Margaret Garvie. Click on the "link" to go to share a favorite memory or leave a condolence message for the family.